WeblinkIndia, a Joomla development company, presents 360° Joomla Web Development solutions enabling you to drive-in high ROI and give a complete facelift to your website. 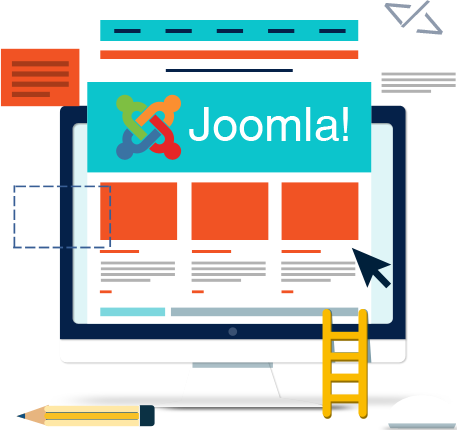 Joomla, with its cutting-edge technological features, infinite extensions directory, and high level of customization, is one of the most popular content management systems for website development. Businesses who get website development in Joomla reap the fruits bore by a power-packed website that is mobile-friendly, SEO-friendly, and easy to manage, access, and promote. With the Joomla website development services offered by WeblinkIndia, businesses can get a fully-functional website that excels on the parameters of usability, extensibility, consistency, and management. From the configuration of new features to third party integration, our Joomla development services providers specialize in customizing all types of Joomla Content Management Solutions exactly as per your business needs, empowering you to drive high ROI and give a complete facelift to your website. If brands like Citibank, eBay, Harvard University, McDonald's and Sony run their websites on Joomla CMS, it must be really powerful! It is the ease of use that makes Joomla so popular. Any type of website from Corporate Site, Portal Site, E-commerce Site, News Site, and endless others can be easily managed on Joomla platform. Also, it is easy to set up this CMS and takes less than 30 minutes in installation with an experienced user. It can be hosted on a shared Linux/Apache/ MySQL/PHP environment, which is an economical option. Joomla core themes comply with 508 standards and it boosts the SEO value of the website. Besides, Joomla has a strong inbuilt SEO. The HTML page titles and metadata are pulled straight from the user input, which contributes to on-page search engine optimization. Due to this, we easily get your Joomla website search engine optimized for high rankings and generate high web traffic, more leads, and high conversions. Joomla is pre-packaged with powerful themes, templates and modules, thus providing you unrivaled design freedom and complete control over the appearance and functionality of your website. It is a mobile ready platform to develop and run responsive websites offering optimal browsing experience, invariably on all digital devices. Based on Ease of Hosting, Ease of Setting-Up a Website, Ease of Use, Graphical Flexibility, Structural Flexibility, SEO, Extensibility, Security and Community strength, Joomla pips even the most sophisticated CMSs of this generation. Joomla allows you to easily and quickly organize, manage and publish all kinds of content on websites, portals, blogs, and web-based applications. Of the many Joomla highlights, Banner Manager, Newsletter Manager, & Contact Manager are three features that add new dimensions to the promotional capabilities of this platform. With these three impeccable features, it becomes really easy to start up a promotional campaign that boosts the ROI of your business. Joomla has a thriving community that provides unrivaled support to both the developers and marketers. There are discussion forums with over 600,000 members, where website owners enjoy the support of thousands of independent developers and consultants. On these platforms, users can ask questions and get prompt and reliable answers from the experts. From designing & customizing themes, creating new modules, integrating third party applications, or performing Drupal SEO, there you find people ready to answer all Joomla related queries you may have. 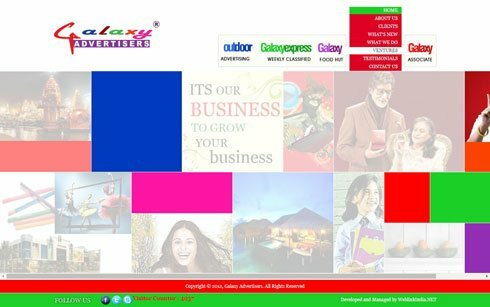 Incorporated in the year 1996, Galaxy Advertisers has made its dominance in the Advertising field. The company offers various Advertising Solutions to the clients from varied fields, like from Education to Jewelry, etc. With an aegis of a creative and expert team, the company comes up with spanking new advertising ideas every time to win the hearts of the clients and ensure the best promotion of their products, services, etc. WeblinkIndia.Net has developed a user-friendly website for Galaxy Advertisers for its effective SEO promotion, utilizing its vast experience of web designing. 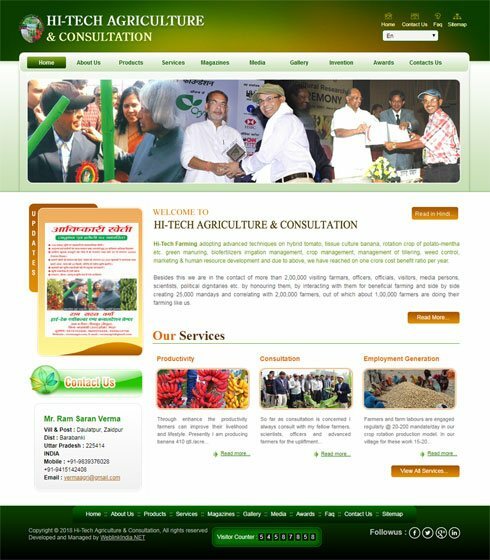 Hi-Tech Agriculture & Consultation is a website owned by Mr. Ram Saran Verma who is expert in high-tech farming in Barabanki, Uttar Pradesh. He has adopted advanced farming techniques for tissue culture banana, hybrid tomato, rotation crop of potato-mentha and much more. Having a network of more than 1 lac farmers, he also specializes in management of tillering, biofertilizers irrigation management, weed control, crop management, marketing & human resource development, etc. His website has designed by WeblinIndia.net – well-known for comprehensive Ecommerce Web Development, Website Designing and Web Hosting Solutions. Sourcology is bracketed amongst one of the value-driven recruitment service provider having its headquarters in Mumbai. The company has catered to the requirements of various industries and sectors from Energy, Healthcare, Finance, Information Technology and Engineering to name a few. It is a multitalented company having efficiency in all the verticals of recruitment. WeblinkIndia.Net Pvt. 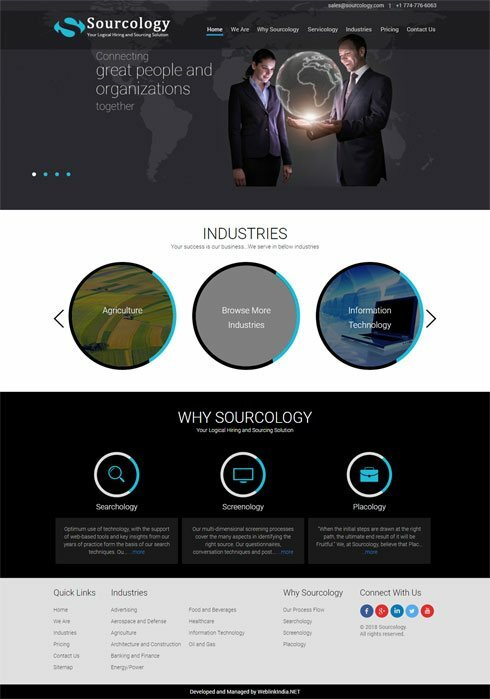 Ltd. is a website designing company that has designed and developed the website of Sourcology. The company is widely acknowledged for offering advanced solutions for Website Designing, Web Hosting and Ecommerce Web Development. Feel The Luxury is the best way to enjoy your dream vacation without worrying about the travel, accommodation, or sightseeing. We are engaged in offering amazing tour packages to travel enthusiasts that are customized to suit their travel requirements. We have a number of tour packages that enable people to travel across the globe. Our website is seamlessly designed to allow travelers to pick from different tour packages we have. This website has been professionally designed by an Indian web designing company called WeblinkIndia.Net Pvt. Ltd.
What Makes Joomla A Strong CMS? Joomla Development Company In India?